The Pentagon has defended its internet voting system after a critical report recommended it should be scrapped. Four computer experts who reviewed the pilot project said the risks of online voting could not be eliminated. "It has numerous other fundamental security problems that leave it vulnerable to a variety of well-known cyber attacks," said the report. The Pentagon is standing by the system, which could be used in November's presidential elections. The project is part of the Pentagon's Federal Voting Assistance Program, which was set up in 1986 to help military personnel stationed abroad to to vote. Internet voting is widely seen as a way of encouraging more people to vote and pilot projects are already under way in countries such as the UK. In the US, some seven states are trying out the Secure Electronic Registration and Voting Experiment, (Serve), system. It is expected to be first tested at the beginning of February in South Carolina's primary election. But the report by the four experts has cast a shadow over the move towards electronic voting. It was put together by Aviel Rubin of the Johns Hopkins University, David Wagner of the University of California at Berkeley, David Jefferson of the Lawrence Livermore National Laboratory and independent consultant Barbara Simons. They were among 10 computer security experts approached by the military to study its net voting system and look for vulnerabilities. The findings of the four experts make uncomfortable reading for the Pentagon. They concluded that internet voting offered far too many opportunities for hackers or even terrorists to interfere with fair and accurate voting. They said ballots could be changed in ways which were impossible to detect, potential skewing the result in close contests. 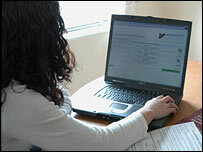 More damaging, the experts questioned the whole premise of using the internet in the voting process. "The flaws are unsolvable because they are fundamental to the architecture of the internet," says Dr Wagner. "Using a voting system based upon the internet poses a serious and unacceptable risk for election fraud. "It is simply not secure enough for something as serious as the election of a government official." The report recommends that the Serve project be shut down and nothing like it be tried until "both the internet and the world's home computer infrastructure have been fundamentally redesigned, or some other unforeseen security breakthroughs appear." Despite the criticisms, the Pentagon is standing by the project. "We knew from the start that security would be the utmost concern," said Defense Department spokesman Glenn Flood. "We've had things put in place that counteract the things they talked about."